The PPS Self-Assessment tool provides pharmacists with a means to identify the standards that apply to your scope of practice and develop a plan of actions for addressing any gaps in practice relating to systems, procedures and information that you use in undertaking your professional activity or delivering professional service. The PPS sit within a broader hierarchy of guidance underpinning and supporting the practice of pharmacists. In order to deliver high quality services in a consistent manner, pharmacists should reflect on, and measure their professional practice. The PPS Self-Assessment Tool can be used for this purpose so that you are able to meet appropriate standards in your practice and make efficient and effective use of resources in your role and in your workplace. This helps you provide professional services that meet the needs of patients and deliver optimal health outcomes. 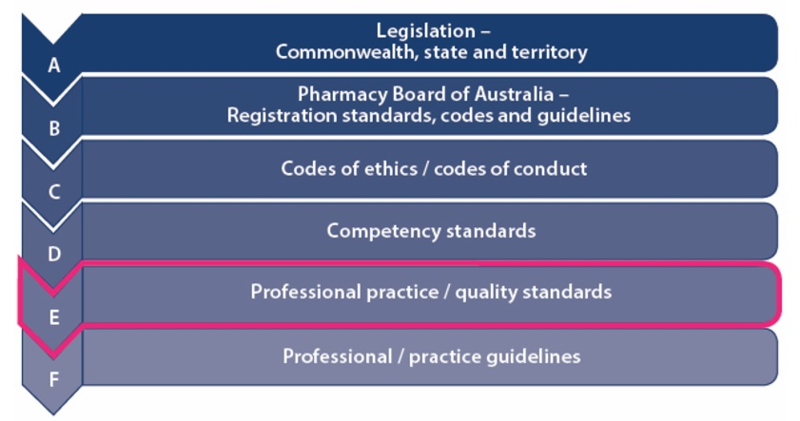 The PPS are different to the National Competency Standards Framework for Pharmacists in Australia. The competency standards describe the skills, attitudes and attributes (such as values and beliefs) attained by an individual based on knowledge and experience. Pharmacists should be familiar with the competency standards particularly through the Pharmacy Board of Australia's requirement to develop and maintain a CPD plan through the process of identifying competencies relevant to your practice. There is an inherent assumption that pharmacists applying the PPS to their practice are competent. For this reason, the PPS Self-Assessment Tool complements the PSA CPD Planning tool. 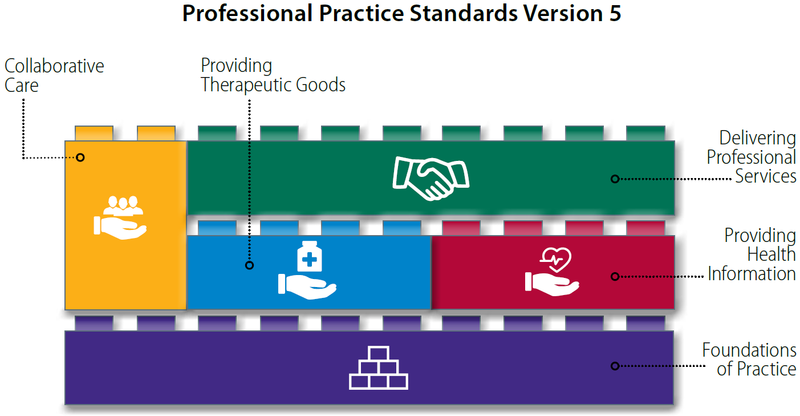 The PPS contains 16 standards that are grouped into the following four streams. The two standards that comprise the Foundations of Practice stream apply to all pharmacists and will automatically be included in your scope of practice. The tool can take approximately 30 - 90 minutes to complete; however, you don’t have to do it all in one sitting. Each time you press the 'Next>' button, which saves your work, you will see the 'Finish later' button. This gives you the option to exit the tool and come back at a time that works for you. The Pharmaceutical Society of Australia is the peak national professional pharmacy organisation. It represents all of Australia's pharmacists working in all sectors and locations.